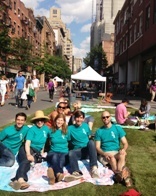 The Village Alliance wants your help envisioning the future of Astor Place as a great public space. Although the design is set in place and construction on the new plazas is scheduled to start next month, there will be an opportunity to program different types of uses, performances, festivals, markets and/or public art on the new plazas, which did not exist in the past. We seek your ideas to build a program that will enhance neighborhood quality of life while also creating long-lasting community benefits. 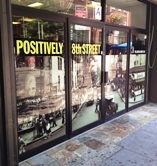 A BIG thank you to everyone who attended Positively 8th Street and to our partners, local businesses, musicians and Mother Nature for helping to make it such a success! The two-day festival was picture perfect and we have the photos to prove it. And be sure to check our blog to support the many event partners who donated their time and resources to celebrating the summer solstice "on the road" here in the Village! Specialty wines, hand-crafted spirits and monthly tastings are the hallmark of this local purveyor. Check out their new arrivals! New Stores Heat Up Summer! This brand new Persian Cafe and Cultural Center offers food, wine and desserts in a warm and friendly atmosphere. Since 1984, Devonshire Optical has provided stylish eyewear and great service to Village denizens. Their new annex across the street provides space for expanded optometrist services. Spacious new dental offices conveniently located at the West 4th Street subway station's northern entrance. Multiple Days/Times, La Mama E.T.C. 566 LaGuardia Pl. @ Washington Square S.